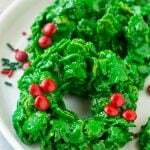 This recipe for no-bake Christmas wreath cookies has just six ingredients and can be made in 15 minutes. These cornflake wreath cookies are a festive addition to your holiday dessert table! These amazingly delicious little cornflake cookies are dressed up for the holidays, kids and adults alike adore them! 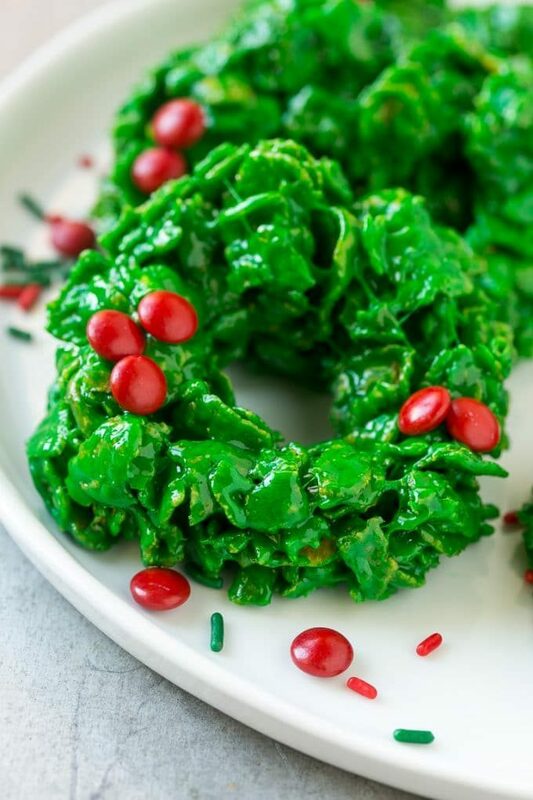 Don’t these cheerful Christmas wreath cookies just put you in the holiday spirit?! Best of all, they’re super easy to make, you don’t even have to turn on the oven! The kids go CRAZY for these cookies, in fact, the first time I saw them was at a holiday tea at my girls’ preschool. They were enamored and we’ve been making them ever since. 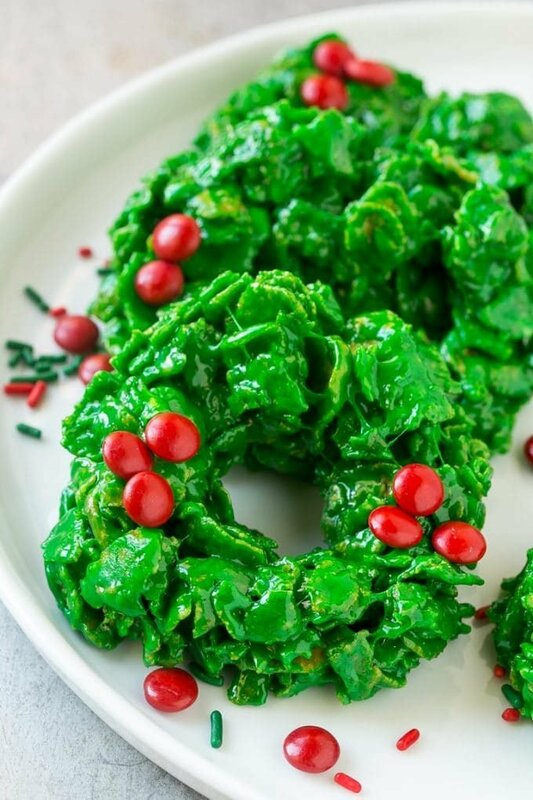 You only need a handful of ingredients for these cornflake wreaths – butter, marshmallows, cornflakes, green food color, vanilla and red candies. It’s like making rice krispy treats, but with cornflakes. You can either use red hot candies or red chocolate covered candies. I used mini red M&M’s here; I bought the Christmas variety that comes in red and green and had the kids sort out all the red ones. We used the leftover green M&M’s to decorate our gingerbread houses. Or you can just snack on them of course. While these cookies aren’t difficult to make, the “dough” is extremely sticky which can be a little tricky to shape into wreaths. After some trial and error, I found the best way to do this was to pack the cornflake mixture into a greased measuring cup, turn it out onto the cookie sheet, and then wet your fingers or coat them with cooking spray to form the hole in the middle of the wreath. You’ll want to add the red candies right away so that they adhere while the mixture is still tacky. I let my kids add the red candies while I shaped the cookies, in fact, my 5 year old did a better job than I did with the candy placement! 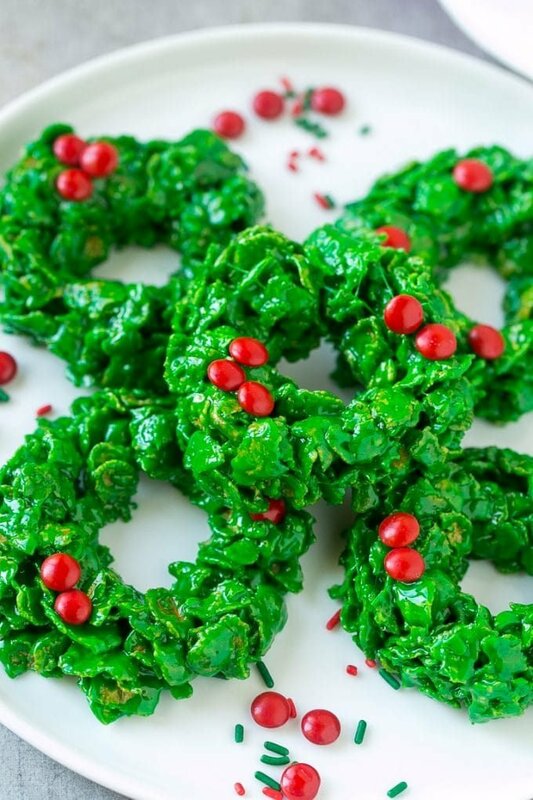 These Christmas wreath cookies add a fun pop of color to any holiday cookie tray. They’re fun to make and even more fun to eat! This recipe for no-bake Christmas wreath cookies has just six ingredients and can be made in 10 minutes. 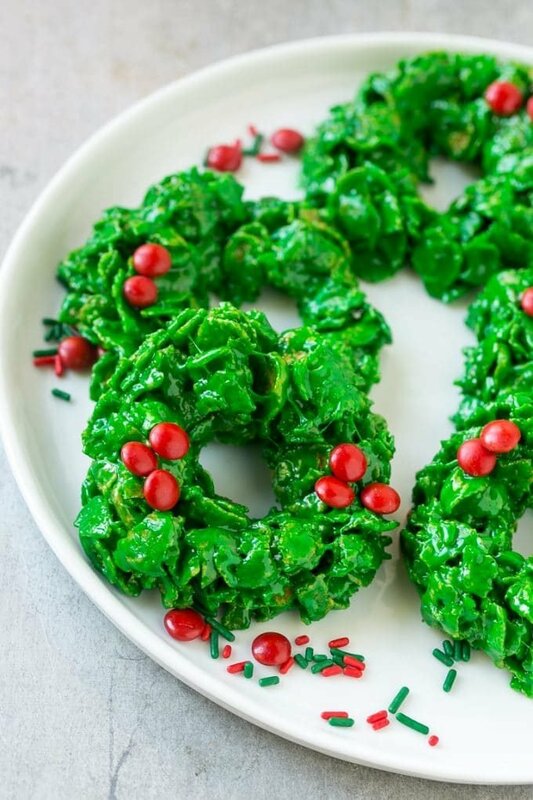 These cornflake wreaths are a festive addition to your holiday dessert table! I love making these. I used a mini donut pan to form these. It worked great. 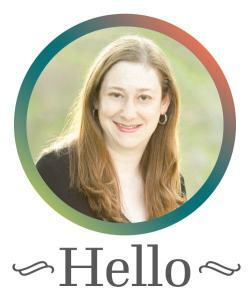 I’ll be making these for years to come. I have made these many times and everyone LOVES them… one thing to remember is you need to work pretty quick. Love those cookies. They look like so much fun to make! I make these every year but use almond extract instead of vanilla. To shape the wreaths, I put sandwich bags on my hands and spray a little Pam on them. Much easier to deal with the dough, and my hands don’t turn green! LOVE the sandwich bag idea! Great idea! I have plastic gloves that come with boxed hair color (unused)… they would work well too. Thanks for the tip! ???? I haven’t seen these in years! A blast from the past for me – thanks – they are so pretty!